Kudzu, aka The Vine That Ate the South. This semi-woody vine is a potential ecological threat to Long Island — and is already here. The leaves of Kudzu smother and kill other plants, trees, and shrubs. Kudzu plants grow as much as 60 feet per season at a rate of about one foot per day. 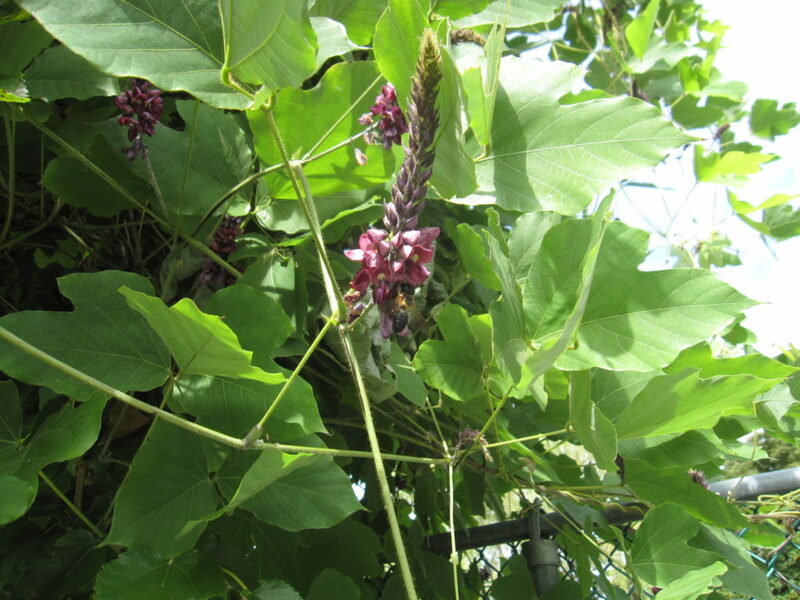 This vigorous vine may extend 32-100 feet in slength, with stems ½-4 inches in diameter. Kudzu roots are fleshy, with massive tap roots 7 inches or more in diameter, 6 feet or more in length, and weighing as much as 400 pounds. As many as thirty vines may grow from a single root crown. Go to this site for more information. Kudzu exhibits this beautiful magenta flower in late September. For successful long-term control of kudzu, the extensive root system must be destroyed. It is for this reason that New York State Department of Environmental Control has prioritized this plant to receive immediate attention by a dedicated team of experts who will eradicate it. KUDZU AND GIANT HOGWEED HOTLINE: Residents should take photographs of suspect kudzu or giant hogweed plants and email them to ghogweed@dec.ny.gov . You can also call 845-256-3111 to report. 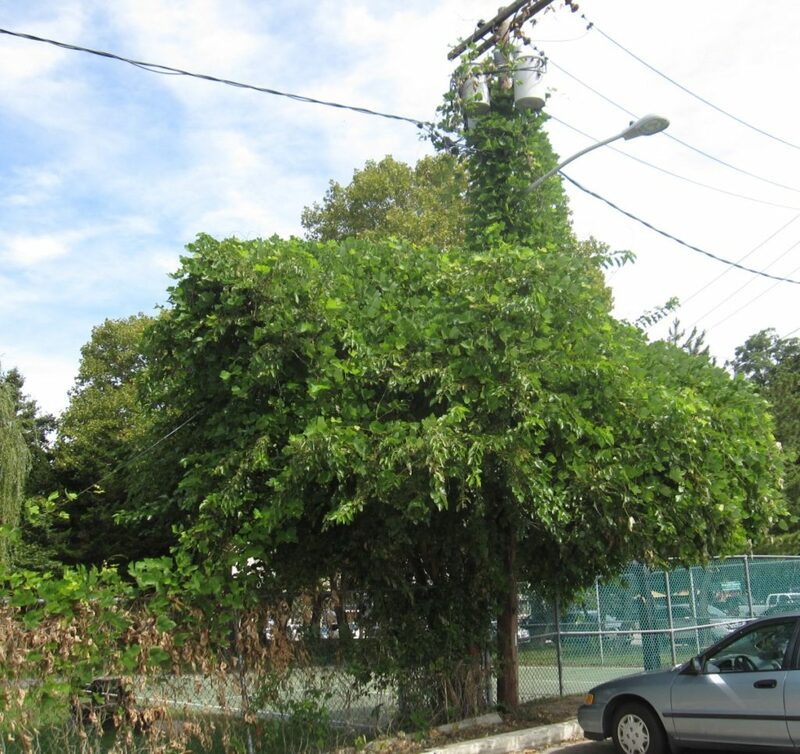 Get expert help from NYSDEC by calling the hotline noted above before attempting to remove this highly invasive vine.